The Rosh Hashana tashlich ceremony is a tradition that is dear throughout the many diverse Jewish communities. Tashlich literally translates as "You will throw." But what, exactly, is it? Tashlich is meant to be a symbolic physical representation of casting away one’s sins. Along with a selection of Psalms and supplications, Micah 7:18-20 is repeatedly recited: "Who is a God like You, pardoning iniquity and forgiving transgression to the remainder of His heritage. He retains not His anger forever, because He delights in kindness. He will again have mercy on us. He will suppress our iniquities; yes, You will cast our sins into the depth of the sea." Tashlich is usually performed in the late afternoon on the first day of Rosh Hashana. However, if one is unable to do tashlich at that time, the ceremony may be performed until Hoshana Rabbah. 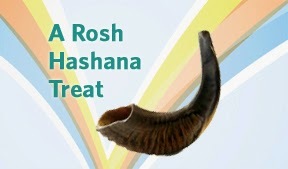 If the first day of Rosh Hashana is on Shabbat, Ashkenazim wait until the second day. 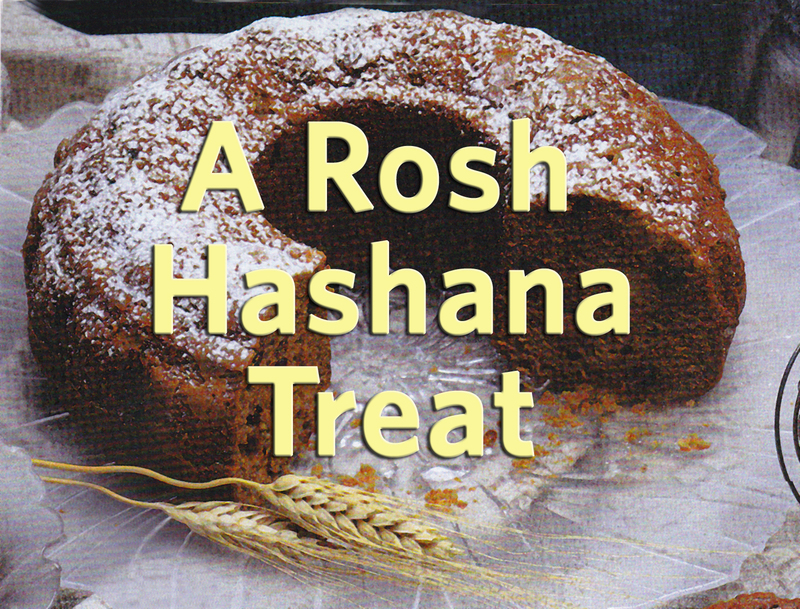 In less than a week, Rosh Hashana, the Jewish New Year, will be celebrated. While New Year’s celebrations are nice (the Jewish calendar actually has four of them! ), Rosh Hashana’s significance is far greater than a mere New Year. It is, in fact known as Yom Hadin, the Day of Judgment, and is a time when Jews focus on recognizing God as the King of Kings. Celebrate the last Shabbat of 5776 with friends and/or family. Be careful in how you state a promise so that you are not making a vow. “In the beginning God created the heaven and the earth. Now the earth was unformed and void, and darkness was upon the face of the deep; and the spirit of God hovered over the face of the waters. And God said: 'Let there be light.' And there was light. And God saw the light, that it was good; and God divided the light from the darkness” (Genesis 1:1-4). When most people think of natural light, they think of the sun. Strangely enough, the sun (along with the moon and stars) was not created until the fourth day. So what was the “light” that God placed in the world on the first day? Rashi, commenting on Genesis 1:4, explains that God “saw that it was not proper for the wicked to use it [the first light] so He separated it for the righteous in the world to come.” Obviously, the light that Rashi is describing is not our everyday light. That first light is frequently construed to be a form of righteousness “spiritual light.” In fact, the Midrash in Bereshit Rabbah explains the first light as the light that shone when "God cloaked Himself in a white shawl, and the light of His splendor shone from one end of the world to the other" (Bereshit Rabbah 3:4). This description implies that the light refers to a Divine radiance, a pure form of righteousness. Rabbi Elazar states that with this first light “a person could see with it from one end of the world to the other”(Chagigah 12a). After God created the light and saw that it was good, He separated it from the darkness. Or, as our tradition explains, He hid it in the Torah! The idea that the righteous light was hidden in the Torah, brings a new dimension to the verse in Psalms 97:11: “Light is sown for the righteous.” The righteous, through their relationship with Torah and mitzvot, can uncover this holiness. But what about the rest of us, the not so righteous? Proverbs 20:27 declares that “the soul of man is the candle of God.” Just as a candle holds a small bit of light, each human is invested with a spark of the Divine light with which we are able to enlighten the entire world. In the Talmudic discussion, Rabbi Abahu (c. 279-320 C.E., Caeseria, Israel) responded to this question by referring to the oral tradition that God wanted the Jewish people to use a ram's horn to remind Him of the binding of Isaac (known as the Akeidah), which culminated in a ram being offered as a sacrifice in Isaac's stead. The shofar represents that ram. On Rosh Hashana, humanity is judged...and far too often it is the negative side of the scale that is weighed down. However, when God sees the Jewish people recalling the patriarchs' and matriarchs' devotion and commitment, and demonstrating that we, ourselves, strive toward that devotion, His attribute of mercy can override His attribute of judgment and enable Him to judge us favorably for a good year to come. In honor of the upcoming new year, pay off any minor debts. 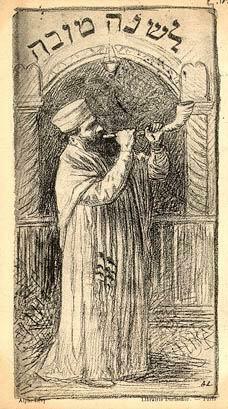 If you can't attend Rosh Hashana services, find out the time of an alternate shofar blowing. Rosh Hashana, the head of the year, is the day on which God determines the fate and fortune of both individuals and communities for the year to come. It is assumed that on this day God determines exactly how much money one will earn in the coming year. As it says, "All of a person's earnings are fixed in the time from Rosh Hashana until (and including ) Yom Kippur, except for his expenses for Shabbat, holidays and expenses incurred in teaching his children Torah" (Beitza 16a). Take a survey of the most common adjective used to describe the Jewish High Holidays and the word might just be “long.” One reason for the long services is that in addition to the usual sections of prayer, the services are also embellished with a host of piyyutim, liturgical poems. The inclusion of piyyutim in the prayer service is a tradition that goes back to ancient Israel. These inspirational poems not only served as a means of religious expression for the paytan (the poet), but in some communities they actually served as alternatives to the set liturgy in times and places where Jewish prayer was outlawed. Piyyutim carry distinctive styles depending on the time and place they were composed. Those included in the service come from such a variety of places as Israel, Spain, Germany and France, all countries with distinct traditions. Make a list of priorities for requesting for the new year. On Rosh Hashana and Yom Kippur we declare: "Repentance, prayer and charity remove the evil of the decree!" In Hebrew, these constitute the 3 Ts: Teshuva, Tefila and Tzedaka. Teshuva (repentance), a central theme of the High Holidays, means more than just saying "sorry." Teshuva means recognizing one’s errors and making an effort not to repeat them. In many ways, teshuva is a private act because one must be introspective in order to recognize one’s own mistakes. 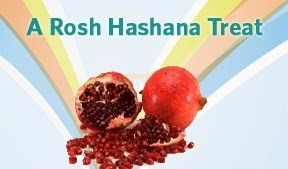 Rosh Hashana begins one week from tonight, make plans now. If you can't attend Selichot services, find a copy of the text in your native language and read through it. There are not too many cultures where people laugh when they are told to “shut up, please!” Yet, there are many Jews who, in that situation, do exactly that- laugh! In fact, anyone who went to a Jewish camp or Hebrew school may now be feeling a desire to yell “Hey!” after reading the words sheket bevakasha...(go ahead, yell ‘hey!’). While sheket means quiet, religious texts more often use the word shtika to refer to silence. The famous Rabbi Akiva is noted for saying, “a safety fence for wisdom is silence” (Pirkei Avot/Ethics of the Fathers 3:13). Elsewhere in the Talmud it is written, “the best medicine of all is silence. When Rabbi Dimi came, he said: ‘In the west they say a word is worth a sela, silence two selas” (Talmud Megillah 18a). By extolling the merits of silence, the sages were not trying to hush a gathering of noisy, rambunctious youth. Rather they were discussing a character trait. Jews may joke, Jews may debate, and Jews may even argue, but Judaism places tremendous importance on peace. Knowing when to refrain from speaking is often the best way to maintain peace. Whether this means refraining from gossip, holding back a sharp retort or not trying to prove that one person knows better than another, shtika is the silence of self-discipline. That is why the recommended remedy to employ when one finds oneself about to say something one shouldn’t, is to tell oneself Sheket...Bevakasha. Listen carefully to what other people are saying and think before you speak. The relationship between two people sharing authority can often be difficult. Nevertheless, in the early Talmudic era, the leadership of the Jewish people was usually shared between two sages. Known as zugot, one of these leaders was the head of the Sanhedrin (nasi) and the other was the head of the court (av beit din). Among the many unique zugot was the famed partnership of Shmaya and Avtaliyon. According to tradition, not only did these two share their leadership, they actually studied together under Rabbi Judah ben Tabbai and Shimon ben Shetach. Additionally, they were both converts to Judaism, believed to be descendants of Sancherib, the Assyrian King who had conquered the Northern Kingdom of Israel. Living in a time of great political upheaval - the era of Herod the Great (74 BCE-4 BCE)- Shmaya and Avtaliyon were more than just scholars. They were greatly loved by the people. The Talmud relates how one year, just after the conclusion of Yom Kippur, they came upon a crowd escorting the High Priest to his home. So beloved were Shmaya and Avtaliyon, that when the crowd saw them they abandoned the High Priest and followed the nasi and av beit din (Talmud Yoma 71b). Another story that demonstrates how beloved they were and how eager scholars were to study with them is about one of their most famous students, Hillel the Elder. A very poor man, one Friday, Hillel did not have the small fee necessary to enter the House of Study. Rather than return home, he climbed up on the roof of the House of Study. The next morning, Shmaya and Avtaliyon noticed that the skylight was blocked. Finding Hillel frozen and covered in snow, they quickly brought him inside and revived him (Talmud Yoma 35b). They decided never to charge fees again. Even in death Shmaya and Avtaliyon are joined together. Their tomb, located in the village of Jish in the Galilee region of northern Israel, receives many visitors each year. Express gratitude to someone from whom you have learned something valuable. The Hebrew word tameh does not have an accurate English translation. It actually refers to the state of one’s spiritual rather than one’s physical being. It is most frequently translated in English as “unclean” or “impure” because one who is tameh may not participate in certain sanctified rituals or enter the Temple. The opposite of being tameh is to be tahor, which is equally inaccurately translated as “clean” or “pure.” These translations are reinforced by the fact that one must go through a ritual cleansing process in order to go from tameh to tahor. The reason, perhaps, that there is no proper translation for tameh and tahor is that both these terms reflect a metaphysical state of being related to life. The “energy” that is often referred to as one’s life force is a flow of Divine energy. When someone (or anything living) dies and loses that Divine energy, those who come in contact with it become tameh. Celebrate life whenever you can. When confronted the next morning by Samuel (to whom God had already expressed his anger over Saul’s disobedience), King Saul’s response was to declare that he had listened to the Divine command, capturing King Agag alive and destroying the Amelekites. He then added, “the people took of the spoils, sheep and oxen, the chief of the devoted things” (I Samuel 15:21) to sacrifice to God. Finally, Saul admits his wrong-doing, but still does not take responsibility: “I have sinned; for I have transgressed the commandment of God, and your words; because I feared the people, and hearkened to their voice” (I Samuel 15:24). By blaming the people, Saul voided his apology. Perhaps, if he had immediately recognized his mistake, admitted it and apologized sincerely, the dynastic line of kingship would not have been removed from his family and given to David. This Treat was last posted on September 10, 2014. Make a plan to put any personal resolutions into effect. Today, September 16th, is the birth date of the father of the famed children’s book series Curious George. Hans Augusto Reyersbach, better known as H.A. Rey, was born on this day in 1898 in Hamburg, Germany. Still a teenager at the outbreak of World War I, Rey served in the German army during the war and later painted circus posters while attending university. Several years after moving to Rio de Janerio, Brazil (in the mid-1920s), while selling bathtubs in the Amazon, H.A. Rey met fellow Hamburg native Margarete (Margret) Waldstein. He had actually met her once before, at her older sister’s birthday party, but in Brazil they fell in love. After their 1935 wedding, the Reys decided to return to Europe and moved to Paris, where they began writing and illustrating children’s books. Cecily G. and the Nine Monkeys, the Reys’ first published title, came out in 1939. The youngest monkey, Fifi, was so popular that the Reys began writing just about him. On the threshold of true success, their lives were suddenly overshadowed by world events. Hours before the Nazis entered Paris in 1940, the Reys, aware of the danger they faced as Jews, fled the city on self-assembled bikes. After they arrived in the United States, the already-written Fifi manuscript was published with a new name for the title character, Curious George. The Reys only wrote eight Curious George books, the rest were written by other artists/illustrators. In addition to his love of animals and art, Rey was fascinated by astronomy. In the 1950s, he produced an illustration of the constellations that made them easier to recognize and identify. The Stars: A New Way to See Them was re-released as recently as 2008. H.A. Rey passed away on August 26, 1977. This Shabbat, take some time to be curious about Judaism. Once upon a time, slavery was an almost universally accepted economic system. Whatever our values and opinions about slavery may be today, slaves were a fact of life in the not nearly so distant past. In some cultures, slaves were simply unpaid labor, treated decently. In others, slaves were no better than objects or livestock. Because slavery was such a natural part of life, it is not surprising that the Torah includes slavery and laws on how a slave must be treated. Beyond the laws that define an Eved Ivri (Hebrew slave) and an Eved Canaani (non-Jewish slave), there is an additional halacha (law) concerning runaway slaves: “You shall not deliver to his master a slave who has escaped from his master to you. He will dwell with you, in the midst of you, in the place which he shall choose within one of your gates, where it is good to him, you shall not harm him” (Deuteronomy 23:16-17). This law applies to any slave, whether Jew or non-Jew. One might then ask, how can a society that permits slavery not return a runaway slave? The Jewish laws on slavery are focused very much on the proper master-slave relationship. A slave is given the same accommodations as a member of the household (quality of food, sleeping quarters, etc. ), and if a master accidentally maims (even just knocking out a tooth) a slave, then that slave is set free. Perhaps, Deuteronomy 23:16-17 is premised on the belief that any slave who needed to run away was not being treated to the Torah’s standard and was therefore deserving of freedom. If you have household help, be certain to treat them with honest respect. This week is the main week of the 2016 Paralympic Games being held in Rio de Janeiro, Brazil. These Games, which provide a competitive opportunity for people with disabilities, receive far less attention that the Olympic Games themselves, although the stories of these athletes are often truly inspirational. What few people know is that Israel, which never hosted an Olympic Competition, took up a dropped torch and welcomed the 1968 Paralympics to Tel Aviv. In 1963, Mexico won its bid to host the 1968 Summer Olympics, and it was understood that this would include the Paralympics. In 1966, however, Mexico determined that they would not be able to meet the technical needs of a second schedule of games. When Mexico backtracked on the Paralympics, Israel jumped in and volunteered. There were many reasons to be impressed with this short-notice change of venue. Most significantly was the fact that the State of Israel had only been created 20 years earlier in 1948. 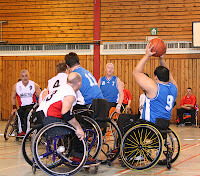 Nevertheless, they not only arranged a successful multi-event competition, they even added several sports such as Lawn Bowl and Women’s wheelchair basketball. The opening ceremony for the games was held in Jerusalem, at the Hebrew University Stadium, on November 4, 1968 (not late, considering that the Mexican Summer Olympics took place in late October). The remainder of the games took place in Tel Aviv. When you see a person in need of support, don't hesitate to volunteer what you can to help. This Treat was last posted on August 21, 2015. Take time out each day to connect with God. A Jewish presence in Switzerland can be traced back to the Middle Ages. Until the 19th century, Jews in Switzerland were restricted in their residence and employment. While there were several notable physicians who were given special treatment, the most common Jewish profession for Jews in Switzerland was moneylending. Because Christians were forbidden to lend money, there was an all-too-common cycle of the expulsion of the Jewish community when an area became too indebted, and then, when the economy began to stagnate, an invitation for the Jews to settle in the area once more. This ambivalent history of the Jews of Switzerland is not particularly surprising for a Western European country. The Jews were constantly persecuted and harassed, especially during times of trouble such as the black plague, when the Jews were accused of poisoning the wells. There were also numerous instances of blood-libel accusations. As in many Western European countries, the first real taste of equality came with the Napoleonic conquest, but left with it as well. Only in 1841 did the Swiss grant Jews any level of civic equality, and even the new Swiss Constitution of 1848 did not actually open the country to free Jewish settlement. Full civil rights only came to Jews in Switzerland with the revised constitution of 1874. The Swiss are most noted for their neutrality, and, because of this policy, the Jews of Switzerland were protected during World War II. However, the Swiss very quickly closed their borders to any refugees with a J-marked passport, leading to the ultimate demise of an untold number of Jews at the hands of the Nazis. *Please note that the specific methods of shechita have been scientifically proven to minimize any cruelty to the animal by causing an almost instantaneous death. Today, September 12, is the anniversary of the signing of the constitution of the modern state of Switzerland in 1848. Support charitable institutions in your home city. “No person except a natural born citizen, or a citizen of the United States at the time of the adoption of this Constitution, shall be eligible to the office of President” (U.S. Constitution II.1). Over the last decade or so, the question of defining “natural born citizen” has come up with increasing frequency, although mostly for the purpose of political posturing. The terminology appears to be derived from British citizenship laws, but the legal qualification of being a natural member of the nation can be traced back to the Biblical laws of kingship. “You shall not appoint a foreigner over yourself, one who is not your brother” (Deuteronomy 17:15). One might wonder why any nation would choose a foreigner to rule over them, but it has happened. The natural born status necessary to serve as the king for the Children of Israel, however, is just one of numerous laws that are listed in the Torah regarding a Jewish monarch. A Jewish king cannot have too many wives or own too many horses. He is also obligated to write his own copy of the Torah, which he is to use in order to increase his knowledge and fear of God. The ideal Jewish king is inextricably tied to the Torah, and thus a foreigner would be unable to fulfill this role and its obligations. When the time came for a king to be appointed over Israel, God first chose Saul from the tribe of Benjamin and then David from the tribe of Judah, from whom all future Jewish kings must descend. While this guarantees the paternal lineage of any king over the Jewish people, one should not conclude that the terms used (brother/foreigner) are entirely exclusionary. After all, King David was the descendant of a Moabite convert (Ruth) and considered just as much a part of the nation as one who could trace his complete lineage back to Jacob himself. Greet the Shabbat Queen by lighting Shabbat candles. The competitive spirit of this year’s Summer Games in Rio did not end with the Closing Ceremony. From September 7 - September 18, 2016, thousands of athletes with physical disabilities will take over Rio’s Olympic venues for the 2016 Paralympics. These amazing athletes can credit this grand event, and indeed an entirely new philosophy in dealing with physical disabilities (particularly spinal injuries), to a Jewish refugee from Nazi Germany. Sir Dr. Ludwig Guttmann (1899 - 1980), a native German, believed, at first, that the Nazis were a temporary departure from the norm. After he was prohibited from working in public hospitals in 1933, he immediately accepted the position of Director of the neurological/neurosurgical department at the Breslau Jewish Hospital. It was not until after Kristallnacht (1938), after he was forced to justify the admission of 64 patients to the hospital following the beginning of deportations, that Dr. Guttmann realized he had to leave Germany. In England, a paper by Dr. Guttmann was influential in the creation of the Centre at Stoke Mandeville Hospital in Aylesbury, a unique institute for dealing with spinal cord injuries. 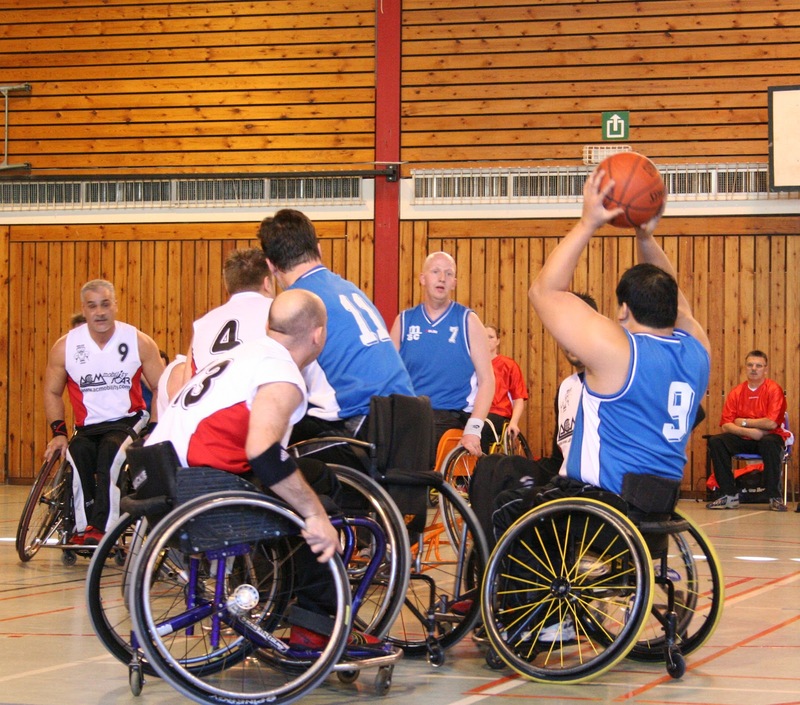 As the director, Dr. Guttmann took a holistic approach to helping those with spinal injuries. Dr. Guttmann showed the injured that they could use their bodies in new ways. The athletics that were a natural part of Dr. Guttmann’s rehabilitation program soon became recreational for his patients. On July 29, 1948, the same day as the opening of the 1948 London Olympics, Dr. Guttmann oversaw the first Stoke-Mandeville Games. Sixteen injured soldiers competed in archery. Four years later, Dutch soldiers participated, making the games international. The Stoke-Mandeville games continued to shadow the Summer Olympics. The 1960 games in Rome are formally recognized as the first Paralympics, as the competition was open to veterans and civilians alike. The winter Paralympics began in 1976. Since 1988, the Paralympics have been held in the same city as, and immediately following, the Olympics. This Treat was last posted on August 29, 2012. Push yourself to overcome challenges. Jewish life is defined by halacha (Jewish law) and colored by minhag (Jewish custom). While Jewish prayer may have the same form and structure around the globe, the way in which it is recited varies from community to community. There are many ways in which minhag affects a community: foods served on Shabbat, traditional dress, songs...even the pronunciation of Hebrew. In previous generations, before technology made travel and communication almost effortless, communities were often isolated and, therefore, homogeneous. A person followed the customs of his/her family, which were usually the customs of the town unless the family had accepted stringencies upon themselves. Then, as now, a woman assumed the customs of her husband and his family to ensure shalom bayit (domestic tranquillity). As the world has grown smaller, so to speak, the question of community, identity and, thus, minhagim has become slightly more complicated. A neighborhood can include Jews from several different backgrounds who form independent communities within the larger community. Sometimes, however, minhagim are rooted in location, and people who come to that location follow the guideline of observing the minhag hamakom, the distinct customs of that particular place. There are many examples of issues affected by minhag hamakom. For instance, in most communities, the time to light candles before Shabbat is 18 minutes prior to sunset, but in Jerusalem it is customary to light candles 40 minutes before sunset. If one has a strong family or personal custom, it might seem odd to deviate from it because of a change in location. However, the dominant purpose of minhag hamakom is to ensure peace among people and a way to avoid disagreements. Be aware of the customs of your family and your community. This Treat was last posted on Monday, August 18, 2015. 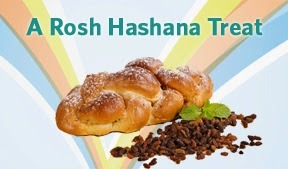 Use the month before Rosh Hashana to contemplate what role you want Judaism to have in your life. The son of a wealthy businessman, Meyerbeer was raised with the greatest advantages of Berlin society. However, his natural talent and his incredible musical abilities, particularly on the piano, were recognized while he was still quite young. As he matured, however, Meyerbeer’s true desire was to compose, and in order to learn composition, he took himself to Venice. Meyerbeer was strongly affected by his time in Italy, especially by the friendship he formed with the famed Italian composer Gioachino Rossini. The two collaborated on some of Meyerbeer’s earliest works. In 1824, Meyerbeer’s first major success, Il crociato in Eglitto, premiered in Venice. It was produced in London and Paris the next year, giving Meyerbeer his entry into the world of Parisian Opera. When his Robert le diable premiered in Paris in 1831, Meyerbeer became a true celebrity. In addition to his Parisian operas, which he continued to create throughout his life, Meyerbeer remained attached to his native Berlin. His wife and daughters resided there, and he was appointed as the Royal Director of Music. Whereas most other artists struggled to get by, Meyerbeer benefited greatly from his family’s wealth. It is known that he lent money to both Heinrich Heine and Richard Wagner, the latter who was once an ardent fan but later repaid Meyerbeer’s generosity (both financially and in assisting in getting Wagner’s earlier work produced) with vitriolic anti-Semitism later in life. L'Africaine premiered after his death. Today’s Treat was posted in honor of Classical Music Month and Giacomo Meyerbeer’s 225th birthday. Use your natural talents to express gratitude to God for those talents. The Crimean Peninsula, which extends into the Black Sea, has been home to a succession of dominant cultures. Among the many who have settled in this region have been Jews, whose presence there is recorded as far back as the first century C.E. In fact, there is a fascinating document describing how the Jews freed their slaves on condition that they convert and join the community, which the former slaves did. The Jewish community stayed in the Crimea when the Huns invaded in the fourth century, and when the Byzantines arrived in the sixth century. When the Khazars took over the region in the seventh century, the Jews found like-minded rulers, especially after the Khazar nobility converted to Judaism. At this time, the Crimean Jewish community also absorbed Jewish refugees fleeing Byzantium persecution. In the mid-13th century, the area was conquered by the Tatars and the Mongols, who remained the dominant culture even when the area was under Turkish rule until the area was annexed by Russia in the late 18th century. This was a critical time for the development of a unique Jewish community. While Jews from all over had migrated to Crimea, the distinctions between Ashkenazic and Sephardic had disappeared so that the community not only had their own distinct nusach (customs in prayer) but also their own patois language as well. Like other Jewish tongues, Krymchak, as it later came to be called (when the community labelled themselves in order to distinguish themselves from more recent Ashkenazic communities), was a meld of the local language and Hebrew. In this case, Crimean-Tatar and Hebrew. It was written in Hebrew characters. By the 20th century, the Krymchak population was a shrinking community, having faced first Russian persecution and then Soviet oppression. The community’s fate, however, was tragically sealed when the Nazi High Command in Berlin ruled that the Krymchaks were not to be seen as a distinctive community and were to be treated like all other Jews (some other distinct communities were given exemptions). More than half the Krymchak population was murdered, and assimilation and social pressure took care of the rest. In the last few years, however, there has been a resurgence in interest in the Krymchak language and descendants of this unique community have been trying to preserve their near extinct linguistic history. Sunday September 4, 2016, is the European Day of Jewish Culture, which this year will be celebrating Jewish Languages. Try to preserve any special languages or customs that are part of your family heritage. Thirty-three years old at the time of his immigration, Grodno-born Rabbi Israel Isaac Kahanovitch was called to Winnipeg, Manitoba, after spending a year in Scranton, Pennsylvania. He had left his Russian homeland two years earlier in the wake of devastating pogroms and traveled across the ocean with his wife and several small children. When Rabbi Kahanovitch and his family arrived in Winnipeg, the prairie city was still quite young and the Jewish community was composed of struggling groups of immigrants, most of whom had fled from Russia following pogroms in 1882 and 1905. In addition to his high level of Torah knowledge, Rabbi Kahanovitch was known for his warmth, energy and dedication to the people of the region. He organized Talmud study groups and helped establish the Hebrew Free School. In addition to his rabbinic duties in Winnipeg, Rabbi Kahanovitch traveled throughout the Canadian prairies to support the larger Jewish community. He was involved in creating a Jewish school in Regina, a synagogue in Melville (both in Saskatchewan), and etc. He was often referred to as the Chief Rabbi of Western Canada. A passionate Mizrachi Zionist, Rabbi Kahanovitch served on the National Executive of the Zionist Organization of Canada. This was not his only national activity. He was overwhelmingly elected to serve as a delegate at the first Canadian Jewish Congress in Montreal in 1919. Additionally, Rabbi Kahanovitch created Winnipeg’s Unity Charity organization. Rabbi Kahanovitch passed away on June 22, 1945. His contributions to Canadian society were recently recognized by the Canadian government. In March 2016, a plaque in his honor was unveiled by Parks Canada, the Historic Sites and Monuments Board of Canada and the Jewish Heritage Centre of Western Canada. On September 1, 1905, Alberta and Saskatchewan, two of the three prairie provinces, joined the Canadian confederation. Make a special effort to meet a new rabbi in town.